Hi everyone! I'm so excited today to share with you the first chapter of my upcoming book, Elementals: The Prophecy of Shadows! 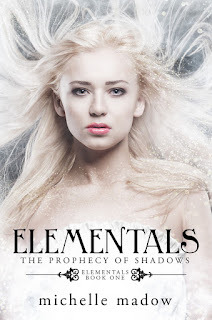 Elementals: The Prophecy of Shadows releases on January 26, 2016. Check out the description below, and then read on to check out the first chapter! She returned to her computer, apparently done talking to me, so I thanked her for her help and left the office. Kinsley High felt cold compared to my school in Georgia, and not just in the literal sense. Boxy tan lockers lined every wall, and the concrete floor was a strange mix of browns that reminded me of throw-up. The worst part was that there were no windows anywhere, and therefore a serious lack of sunlight. I preferred the warm green carpets and open halls at my old school. Actually I preferred everything about my small Georgia town, especially the sprawling house and the peach tree farm I left behind. But I tried not to complain too much to my parents. After all, I remembered the way my dad had bounced around the living room while telling us about his promotion to anchorman on the news station. It was his dream job, and he didn’t mind that the only position available was in Massachusetts. My mom had jumped on board with the plan to move, confident that her paintings would sell better in a town closer to a major city. My younger sister Becca had liked the idea of starting fresh, along with how the shopping in Boston apparently exceeded anything in our town in Georgia. There had to be something about the move for me to like. Unfortunately, I had yet to find it. I didn’t realize I’d arrived at the library until the double doors were in front of me. At least I’d found it without getting lost. I walked inside the library, pleased to find it was nothing like the rest of the school. The golden carpet and wooden walls were warm and welcoming, and the upstairs even had windows. I yearned to run toward the sunlight, but the late bell had already rung, so I headed to the back of the library. Hopefully being new would give me a free pass on being late. Just as the secretary had said, there was only one door. But with it’s ancient peeling wood, it looked like it led to a storage room, not a classroom. And there was no glass panel, so I couldn’t peek inside. I had to assume this was it. I wrapped my fingers around the doorknob, my hand trembling. It’s your first day, I reminded myself. No one’s going to blame you for being late on your first day. I opened the door, halfway expecting it to be a closet full of old books or brooms. But it wasn’t a closet. 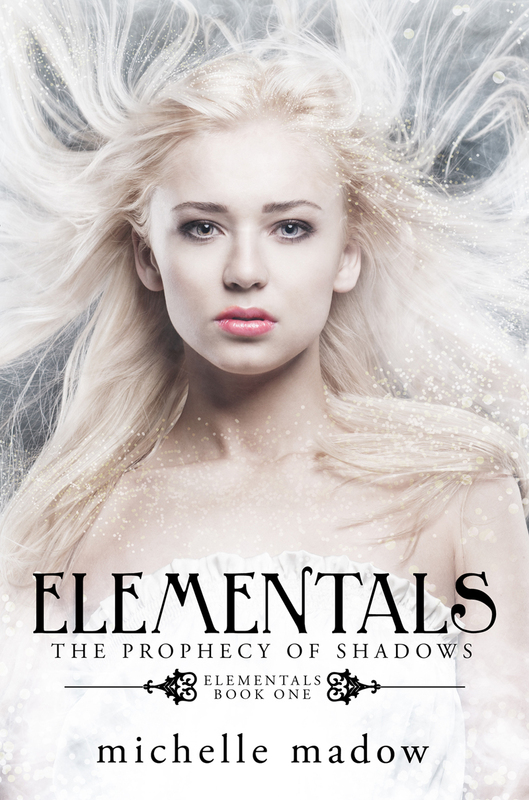 Did you enjoy this special sneak peek of Elementals: The Prophecy of Shadows? If you want more, pre-order your copy now for only $3.99, so it's automatically delivered to you on release day! I like this story. I read every post of your blog. I like reading and writing. Thank you for this great share and is very useful information.Keep sharing. View at custom essay writing service page if you are interesting on online essay services.